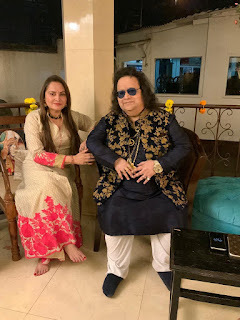 Bappi & Chitrani Lahiri continued a decades old deeply enchanting tradition to welcome The Goddess Saraswati with magnificent grandeur and opulence. 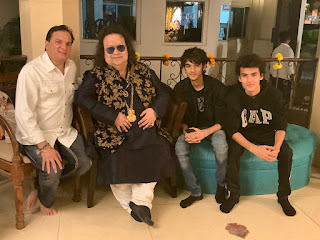 Spotted some of the distinguished people cheerfully joining in the auspicious festivities were Jaya Prada,Sumona Chakraborty ,Raj Kumar Santoshi,Sameer ,Lalit Pandit ,Vijayeta Pandit ,Champak Jain,Rema Lahiri etc. 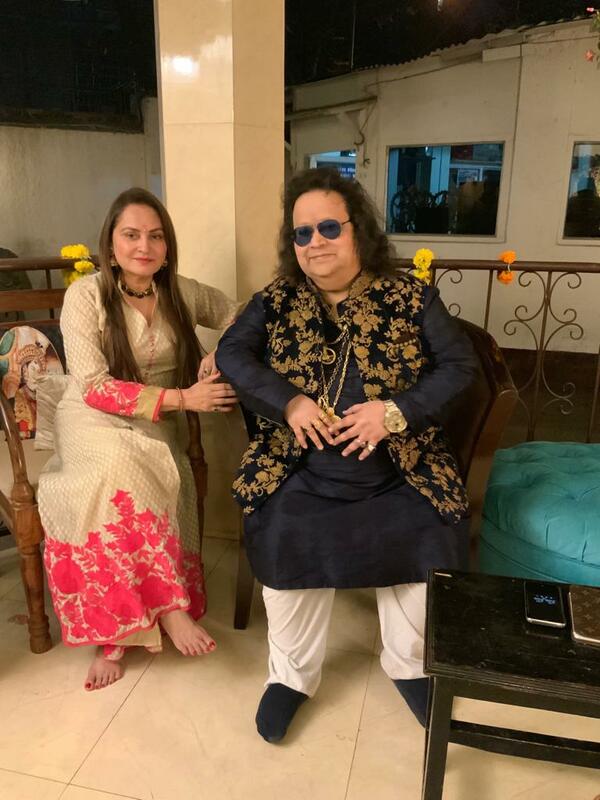 Bappi Da & Chitrani Lahiri chose Yellow to be the theme of the blessed celebrations as Yellow is not just the most luminous colour in the spectrum but also the color of happiness, and optimism, of enlightenment and creativity, sunshine and spring. Bappi Da & Chitrani’s Yellow theme adorned not just the entire decor beautifully in Sunflowers & Daffodils but also in the Divine Naivedyam Bhog which was soulfully served to the blessed devotees. Hans Vahini Samayuktaa Maa Vidya Daan Karotu Me Om’.